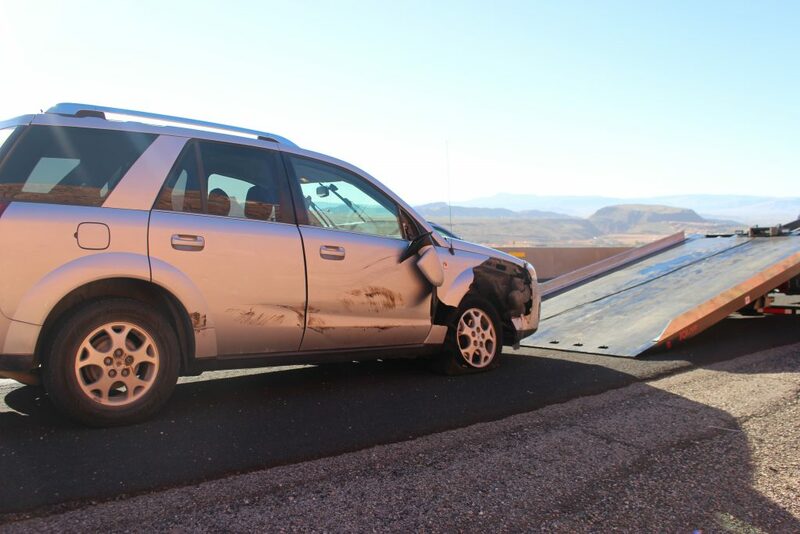 WASHINGTON COUNTY — A two-vehicle crash on Interstate 15 nearly turned into two crashes Wednesday after a driver lost control and sent the car spinning around in the middle of the highway as it approached accident scene before the driver was able to regain control and continued south toward Washington City. 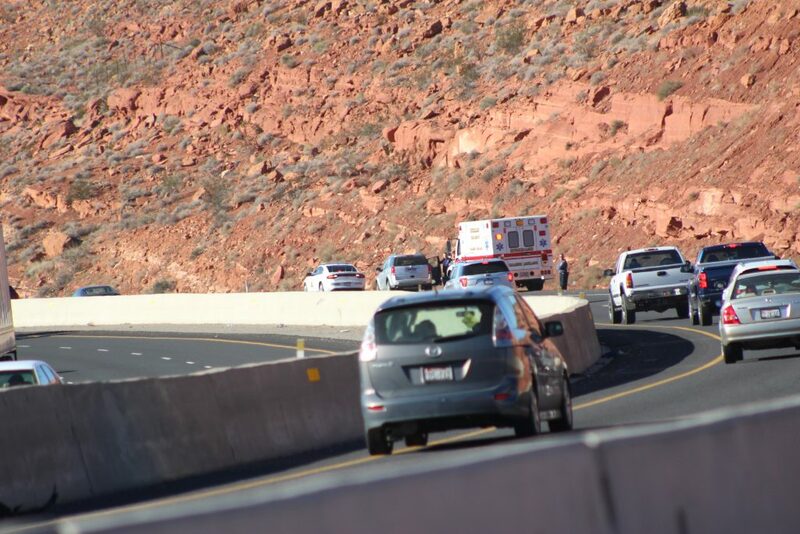 Shortly after 9 a.m. Utah Highway Patrol troopers were dispatched to the crash on I-15 southbound near mile marker 14 just south of the Hurricane exit involving a silver Saturn SUV and a gray Kia SUV. The initial call reported that one of the drivers sustained a possible head injury in the crash. Troopers found both vehicles extensively damaged on the right shoulder of the interstate. A woman in the Saturn who was shaken was treated by emergency medical personnel at the scene until a family member arrived. 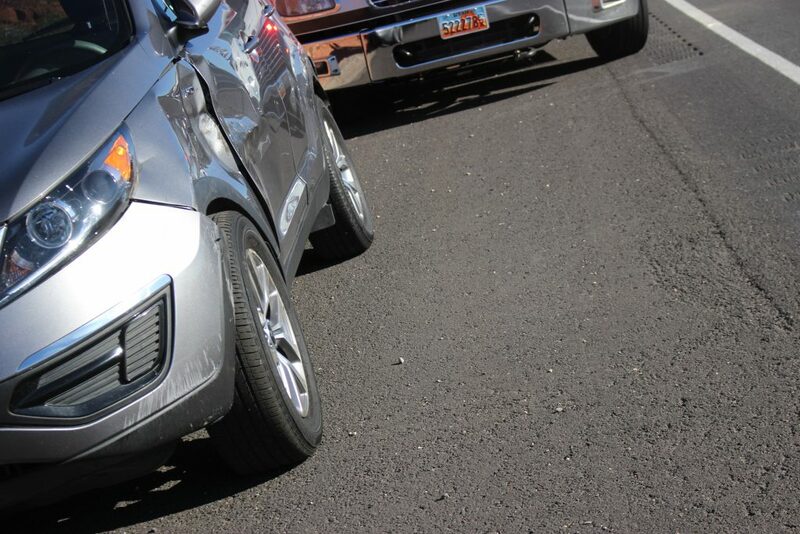 The woman driving the Kia reported she was uninjured in the collision, Utah Highway Patrol Trooper Lars Gardner said. At the time of the crash, the Saturn was heading south in the passing lane when it merged into the right lane that was occupied by Kia and struck the driver’s side front panel of the SUV, Gardner said. The impact spun the Saturn around while the Kia was able to continue to the right and stopped on the shoulder of the interstate. Just as two wreckers arrived to tow the damaged vehicles, a blue passenger car approaching the scene began skidding across the roadway and then spun completely around twice, as nearby motorists slowed and swerved to avoid striking the out-of-control vehicle. After swerving several more times the driver was able to regain control of the car, which continued down the interstate, leaving several responders startled at the scene. “It’s really dangerous out here today,” Gardner said seconds after the incident occurred. Both vehicles were towed from the roadway and neither driver was transported to the hospital. 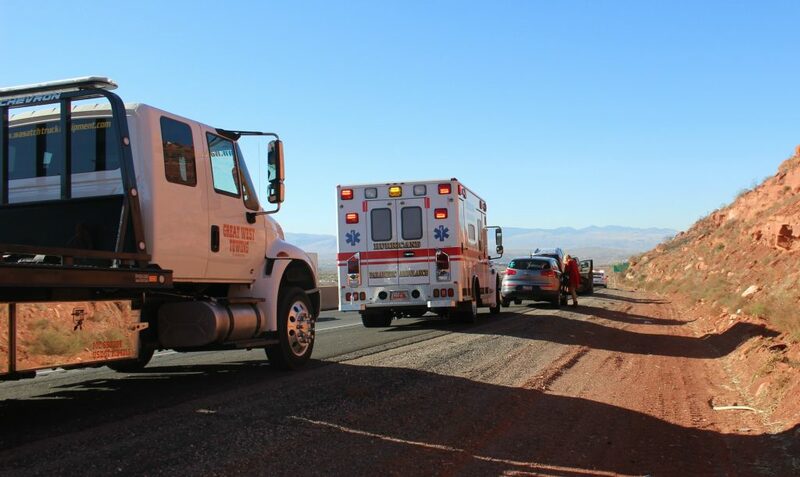 The Utah Highway Patrol, Washington City Fire Department and Hurricane Valley Fire District responded and tended to the scene.